Chromebooks have gained popularity as relatively inexpensive web-centric laptops. They give access to web-based and native applications through the Chrome store, but what if you want to do more with them? Installing Ubuntu on a Chromebook gives you more choice and lets you turn a web-centric machine into any other laptop: you can install an IDE to write code, you can install Steam to play games, and of course, it gives you the freedom of the command-line and the wealth of the Ubuntu archive at your finger tips. 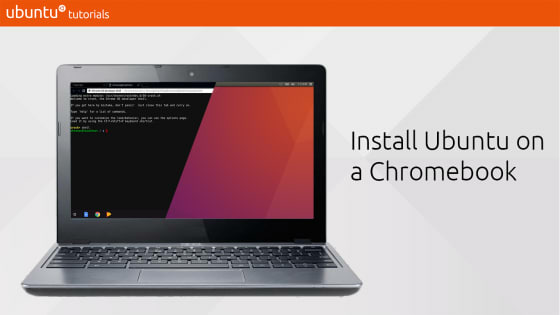 In this tutorial, you will learn how to use crouton (Chromium OS Universal Chroot Envrionment) to create Ubuntu shells on your Chromebook, launch graphical sessions and install apps from the Ubuntu archive.